For sale La Romana - New modern villa in La Romana, inland Alicante, Costa Blanca South, Spain. We just finished the showhouse, come and see it soon. This newly built villa are built to the highest standard with a modern design villa, plenty of light thanks to the three large French doors of the lounge / dining room overlooking the private pool of 9x3m and landscaped garden. A modern three bedroom, 2 bathroom detached Villa on a plot of 500m2, larger plots are available. 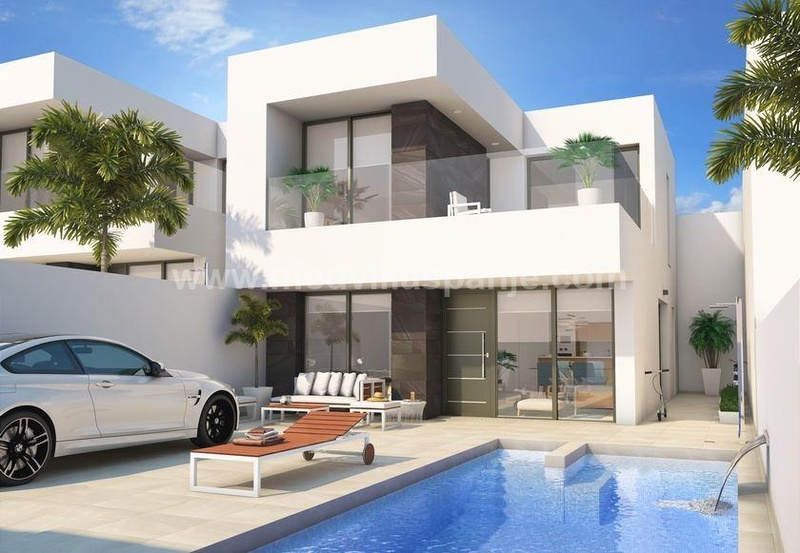 Detached modern villas close to the typical traditional Spanish town of La Romana, Alicante. Only 0.6 km from the city center, where you can enjoy all amenities (bars, shops, restaurants, doctor service, golf ...) and no more than 30 min to the beaches of Alicante and the airport.